As a child, when something frightens you—a bad dream, or a monster under the bed—what do you do? You call for the ultimate protection: your mother. But what happens when mothers themselves are monstrous, and what makes them so? Mothers, like women in horror fiction generally, don’t tend to fare well. They suffer from the “damned if you do, damned if you don’t” problem, becoming a source of terror for being too motherly, or not motherly enough. The monstrous mothers of horror have their roots in myth and fairy tales, with the evil stepmothers of stories like Snow White as the classic example. The Brothers Grimm popularized the archetype, but in many of the original tales they retold, the evil stepmothers were mothers. The typical pattern of these tales saw the mother/stepmother growing jealous of her daughter’s youth and beauty, and seeking to punish or destroy her for it. In the most extreme cases, this would also involve cannibalism. As the Grimms shifted from mothers to stepmothers, they created a useful dichotomy. On one side, the evil, jealous stepmother; on the other the pure, loving mother who is flawless by virtue of being dead. This dichotomy appears in Lucy Clifford’s “The New Mother,” a horror tale published in 1882. The story centers on two young girls, Blue-Eyes and the Turkey, who are tricked into being naughty by a strange girl in the woods. Their mother warns that bad behavior will force her to leave forever and send a new mother in her place, one with glass eyes and a wooden tail. The children ignore the warning, and their sweet, kind mother vanishes, leaving the eerie new mother in her place. The story ends before we learn whether the new mother is monstrous in more than appearance, though from Blue-Eyes and the Turkey’s perspective, she certainly is, and the moral to them is clear—be good and listen to your mother, or a monster will get you. Neil Gaiman points to “The New Mother” as an inspiration for his novella, Coraline, whose wicked Other Mother has button eyes in a direct nod to the New Mother’s glass eyes. Unlike the New Mother, the Other Mother’s wickedness is directly on the page. She collects children, sews buttons over their eyes, and drains them of life. Even so, she still straddles the line between too much mothering and not enough. The Other Mother lures Coraline into her world by being a little too perfect—more fun than her real mother, cooking her favorite foods, and spoiling her rotten. However, once she has the children she collects in her clutches, she quickly becomes bored, and her love turns to neglect, leaving them to waste away. Alfred Hitchcock’s Psycho offers an interesting example of another mother straddling the line between too much mothering and not enough, though what makes Mrs. Bates so interesting is—spoiler alert for a sixty year old movie—during the timeframe of the movie, she doesn’t exist. The real Mrs. Bates is dead before the film opens; she is a motivating factor for horror, but throughout the movie, Norman acts as his own mother figure. Norman murdered Mrs. Bates and her lover, then exhumed her corpse and reinvented her as his own perfect ideal—a smothering, overprotective mother willing to kill in order to keep him her perfect little boy. We can surmise that the real Mrs. Bates may have been ready to move on to a new stage in her life—one without Norman at its center. In Norman’s eyes, this made her a bad mother, a monstrous one, thus his twisted reimagining goes to the opposite extreme. As “Mother,” Norman brutally murders a series of beautiful women who represent sexual temptation, thus keeping himself childlike and pure. He keeps himself innocent of death as well, pretending his mother is still alive and he hasn’t killed her, and shifting the blame for his murders onto her. As a result, Mrs. Bates-via-Norman becomes both the fairy tale wicked stepmother, hunting young women, and the sainted dead mother protecting her little boy. In Friday the 13th (part 1), we have a real-life version of Norman Bates’ fantasy mother. When Jason Voorhees drowns due to neglectful camp counselors who are too busy getting it on, Mrs. Voorhees goes on a killing spree to avenge him. In a deranged way, she’s protecting future campers too, trying to ensure Camp Crystal Lake never reopens. Of course, her plan fails, and she transforms from overprotective mother, to mother-as-motivating-factor-for-horror. Just as Mrs. Bates motivates Norman, Mrs. Voorhees’ death motivates the surprise-he-isn’t-really-dead killing spree in Friday the 13th Part 2. Like Norman keeping his mother’s mummified corpse in the basement, Jason keeps his mother’s severed head in a makeshift shrine, undertaking his killings in her name. Another aspect of the “too much mothering” horror trope is the monstrousness of female fertility. Being an empty vessel for Satan’s seed is one thing, but choosing when, where, and how often to procreate is a big no no. Take the xenomorphs of the Alien franchise. Their desire to propagate and determination to ensure the survival of their young is the source of their monstrousness. The ultimate embodiment is the Alien Queen, the ur-mother of the xenomorph hive, and the source of all those eggs scientists can’t seem to resist hovering their huggable faces directly over. Similarly, H.P. Lovecraft’s Shub-Niggurath, one of few Great Old Ones of his mythos explicitly named as female, is associated with fertility and frequently linked to The Black Goat of the Woods with a Thousand Young, either as the same being, or as his consort. Even as a consort, however, one can assume she is at least partially responsible for those thousand young, and thus a source of monstrousness. On the other side of the coin, we have too little mothering—neglectful and outright cruel mothers once again hearkening back to fairy tale roots. In the film Carrie, the first instance of motherly abuse shown onscreen is directly related to Carrie’s fertility, as heralded by her first period. Unlike Snow White’s stepmother, Carrie’s mother doesn’t seem fearful of Carrie replacing her so much as simply growing up and living a life of her own. In addition to being a horrifying figure in her own right, Carrie’s mother heralds monstrosity as well. When Carrie goes nuclear, her mother’s abuse is just as responsible—if not more so—as the abuse she faces from her peers. Unlike Carrie’s mother, Regan’s mother in The Exorcist isn’t monstrous in her own right, but she causes monstrosity by not being motherly enough. Instead of her life revolving around her daughter, she has the audacity to be a single mother interested in her own career, and having friends, all the while neglecting her daughter’s spiritual upbringing. As the movie demonstrates, that kind of unmotherly behavior—to paraphrase the television series Archer—is how you get demons. Another mother who straddles the line between saintly as wicked is the titular creature in the film Mama. As a living woman, she commits murder and causes her own accidental death along with the death of her child. In death, however, she dedicates herself to caring for two little girls—Lilly and Victoria—whose own mother is brutally murdered, and saves them from the same fate. Mama is monstrous to other adults, but to the girls she is a protector, and in Lilly’s case, the only mother she’s ever really known. The possibility of Mama’s wicked nature is only introduced into the girls’ lives by a third mother figure, along with a new father figure. The girls’ uncle rescues them after years with Mama, and he and his girlfriend take them into their home. Mama turns vicious, but only against those she sees as threats to “her” children. The movie ends with Lilly’s death in Mama’s arms, but it is depicted as a happy reunion, while Victoria is shown on the path to healing with her newly-rediscovered family. In this way, Mama may be a rare example of a horror movie offering multiple positive mother figures. If there’s an ultimate lesson here, it’s that mothers—like women in general in horror—can’t win. If there’s another lesson, it is this—if you find yourself in a horror story, don’t call for your mother when something goes bump in the night. Just pull the covers over your head, pretend it isn’t there, and wait until dawn. 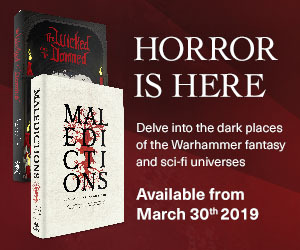 A.C. Wise’s fiction has appeared in Clarkesworld, Shimmer, Tor.com, and the Year’s Best Horror Volume 10, among other places. She has two collections published with Lethe Press, and a novella forthcoming from Broken Eye Books. 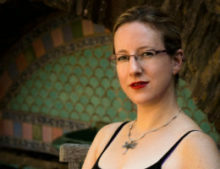 In addition to her fiction, she contributes a monthly review column to Apex Magazine, and the Women to Read and Non-Binary Authors to Read series to The Book Smugglers. Find her online at www.acwise.net and on twitter as @ac_wise.